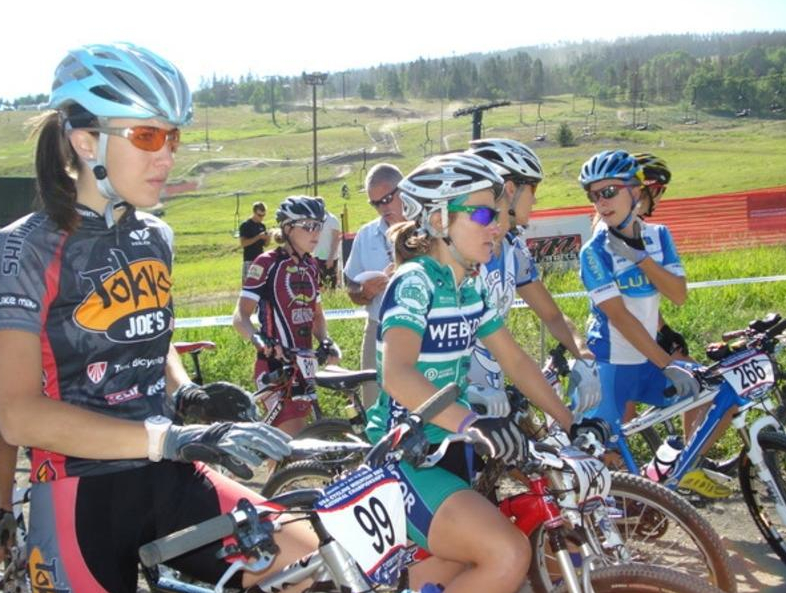 2009 USA Cycling national mountain bike championships in Granby, Colorado. Kona Factory team was there and put the pedal down to take three top fifteen spots in) the the Cross Country event (Ryan in 8th, Barry in 10th and Tonkin in 12) and a 4th place finish in the short track. (Trebon). With about 10 minutes to go in the elite men’s short track national championships race, Adam Craig (Giant) launched an explosive attack to catapult himself from third to first. Once off the front, Craig grew his gap to take a convincing win ahead of Todd Wells (Specialized Factory Racing) and Jeremy Horgan-Kobelski (Subaru/Gary Fisher) and Ryan Trebon in 4th place. The U23 and junior women started off the racing action on Friday morning, with both races ending with sprints to the finish. Following just under 14 miles of racing, two experienced riders stood head-and-shoulders above the rest in the U23 women’s competition. Multiple-time national champion Chloe Forsman (Luna) and Amy Dombrowski (Webcor Builders) riding on a Kona, finished the approximately 14-mile race nearly eight minutes ahead of their closest competition. Only around four seconds, however, separated the pair with the former collegiate national champion, Dombrowski outsprinting the defending champion, Forsman.